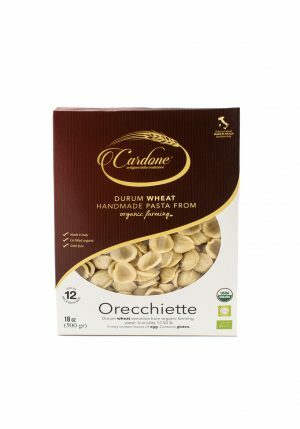 Home / Pastas, Rice & Grains / Pasta / ORGANIC KHORASAN KAMUT FREGOLA 17 oz. Frequently associated with couscous by those who discover it for the first time, fregola is another of the typical Sardinian dish. 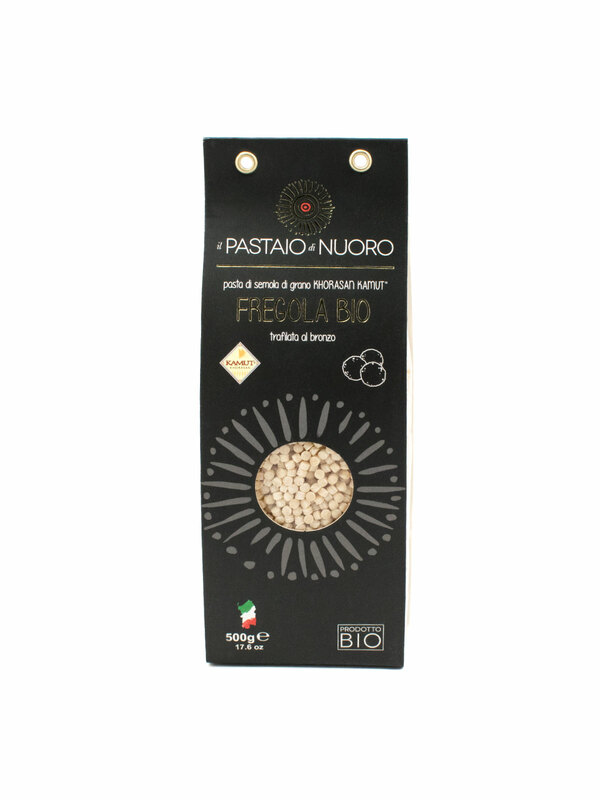 Fregola with Kamut flour, to offer the chance to taste this Sardinian specialty, enjoying the benefits of one of the healthier flours on the market, 100% organic Kamut. It is a bio wheat par excellence and has much higher nutritional properties than wheat. It is characterized by a high protein value and a higher presence of minerals such as calcium, iron, magnesium phosphorus, zinc, sodium and potassium. 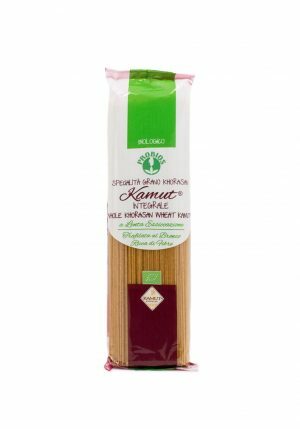 Ingredients: Khorasan Kamut organic durum wheat semolina, water. Shelf Life: The dried Fregola has a 36-month conservation in a cool and dry environment. 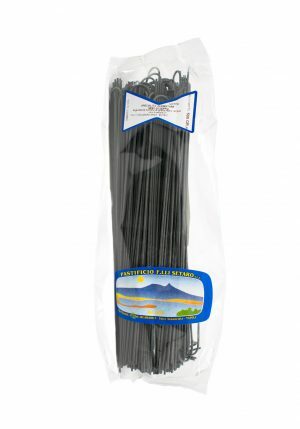 SPAGHETTI AL NERO DI SEPPIA 1.1 lbs. 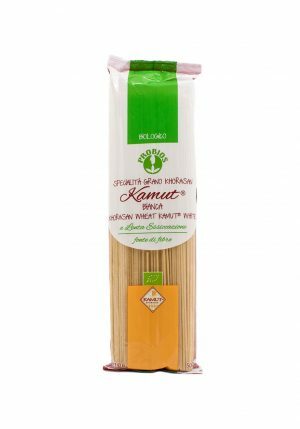 WHITE KAMUT SPAGHETTI 1 lb.